Karst Worlds: Digital surveying: Disto X replacement? Pre-order now! Because Leica discontinued the A3-series, the inventor Beat Heeb stopped making new batches as the extention board no longer fitted into the new D3 model. But from all over the world there came requests from cavers to continue the production. The exotic pieces to construct the board were however no longer available, alas. Luckily Beat responded to the community that he is developing a new board for a different model: the Leica DXT, based on more common elements. 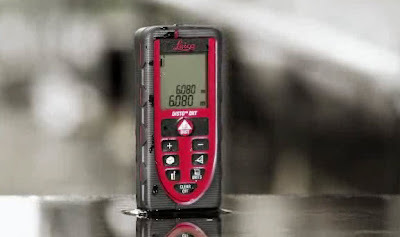 This new Leica distance meter is more appropriate for caving: it is dust and jet water proof (IP65) and the rubber casing protects it against impacts. A completion date is not yet given, but it'll probably be somewhere second half this year. As soon as I know more I'll let you know. WVCaver2011 from cavechat.org is still grouping the orders. So if you want to be one of the first to test out this new and improved Disto X² be sure to drop him a note at the cavechat forum in this topic.